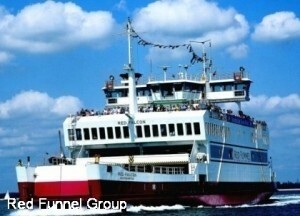 Ferry travel is back in vogue for its convenience and ease of passage, it has been claimed by Dover port authorities. With more than 15 million passengers passing through the port of Dover in 2007, and a 1.1 per cent increase on last year's figures for January indicating a strong year ahead, ferry travel is experiencing some resurgence in popularity. Mike Southey, a public relations manager of the Port of Dover, said he suspects that the promise of 'cheap flights' had cost travellers in time and convenience. "We think [ferry travel] is regaining popularity after a period of a few years when there seemed to be a small shift towards airline journeys. It's very much a smoother and easier passage through a seaport than an airport", he said. Mr Southey added that lengthy queue times because of security concerns had also contributed to the move back to ferries for some passengers. Travellers are being reminded to check their travel insurance policies to ensure that they are adequately covered, after the AA warned earlier this week about UK driving holidaymakers made false assumptions about their level of cover.